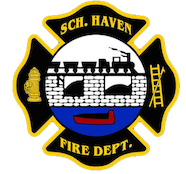 February 26, 2012 – Just as units began to clear the scene of the previous landing zone and MVA, at 14:04 the SHFD was dispatched to 1540 Route 61 (Cressona Mall intersection) for a motor vehicle accident with entrapment. Chief 724 arrived on scene and confirmed a two vehicle accident with 3 injuries and 1 patient confined. Fire Personnel gained access to the confined patient and assisted EMS with transport and packaging of all 3 patients. Crews applied floor absorbent to the area around the vehicles and cleared debris from the roadway. All SHFD units were on scene for approximately 45 minutes until PSP and the tow company arrived. Chief 724 (Donatti) had command. February 26, 2012 -At 13:45 Station 4 was dispatched to 298 Schuylkill Street to set up a landing zone for incoming Medevac 7. Fire personnel established a secure area for the “bird” to land and assisted EMS and the Flight Crew with patient transport. Chief 724 had command. February 26, 2012 -At 13:33 Station 1 was dispatched for Rescue 726 along with Fire District 41(Cressona) to 250 Chestnut Street, Cressona for a vehicle accident with injuries. Crews arrived on scene to find a single car vs. a pole. Fire personnel secured the vehicle and assisted EMS with patient removal and transport to the medic truck. Chief 724 had command. February 26, 2012 – At 08:39 Stations 1 & 2 were dispatched to the area of 191 Manheim Road, for a vehicle accident with injuries. Crews arrived on scene and found a two car accident with 1 injury. Fire personnel secured the vehicles and assisted EMS with patient care. All units were on scene for approximately 30 minutes. Chief 724 (Donatti) had command. February 25, 2012 – At 13:53 the SHFD was dispatched to 625 East Main Street, the Schuylkill Haven Area High School to setup a landing zone for incoming Medevac 7. Fire personnel established a secure area for the “bird” to land and assisted EMS and the Flight Crew with patient transport. All units cleared the scene shortly after take-off. Chief 724 (Donatti) was in command. February 24, 2012 – At 16:28 Stations 1 & 4 were dispatched along with Cressona FD to 53 Pottsville Street (Cressona Borough), Sapa Extrusions for a commercial fire. Crews arrived on scene to find that a large transformer had exploded inside of a structure and that the fire was extinguished by Sapa employees. Fire personnel checked the area of the explosion for extension and nothing was found. All units were then placed available by Cressona Chief 41. February 24, 2012 – At 14:44 the SHFD was dispatched to the area of 400 St. Charles Street, behind the water treatment plant for an unknown type fire. Chief 723 (Motko) arrived on scene and found a small area of debris burning in a wooded area. Crews from Stations 2 & 4 used Indian tanks and a water can to extinguish the fire. All units were then placed available. February 24, 2012 – At 14:25 Station 2 was dispatched to 1 Orchard Street, Pine Grove Borough to stand-by for HH&L Fire Company as District 58 units were responding to a possible structure fire. SCCC then advised Station 2 to cancel the call due to no fire found. February 24, 2012 -At 04:16 Stations 1 & 4 were dispatched to 674 Mill Street, Auburn Borough for a structure fire. As all units began to respond, SCCC advised of a possible car port on fire in a driveway. Auburn Command shortly requested Ladder 725 and E-737 to recall and go available as the fire was knocked down. February 23, 2012 – At 17:31 Station 1 was dispatched to the Hamburg Fire Station, Berks County for a stand-by assignment as Berks Station 61 units were busy with a structure fire at the Hamburg High School. Ladder 725 responded with Rescue 56 (Orwigsburg Fire). Both companies were on stand-by for approximately 3 hours.